Update Huawei Honor 5X to Android Nougat 7.0 . 1 Update Huawei Honor 5X to Android Nougat 7.0 . 1.1 Upgrade Honor 5X to Android Nougat 7.0 . 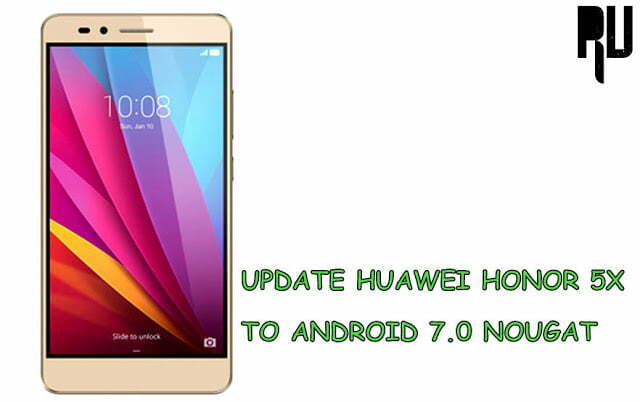 1.1.1 Step by Step guide to Update Huawei Honor 5x to Android 7.0 Nougat . Do you want to Update Huawei honor 5x to Android 7.0 Nougat ? if yes then you are at right place . Today we are here with the guide to install android nougat update on Huawei Honor 5x . Huawei is a very well known brand it the best thing about the brand is that it has a very good range of products for everyone For let it be the Honor 4 or the flagship Huawei p9 . So coming to the guide Huawei honor 5x is a mid range device that comes with 5.5 Inches display and Qualcomm Snapdragon 616 processor coupled with 3Gb of ram . The smartphone officially runs on android 6.0 Marshmallow and there is no confirmation on official nougat update for huawe honor 5x from the company , But still users can install a nougat custom rom on the device to update it . Android 7.0 nougat is the latest android version and it comes with many new features and upgrades like multi window support , System Ui tuner Here is the Detailed list of Android 7.0 Nougat features . So lets start the guide on How to Update Huawei honor 5x to android 7.0 Nougat . Upgrade Honor 5X to Android Nougat 7.0 . Based on Android Nougat . Much Better then Marshmallow 6.0 . Comes with New themes / Wallpapers / Ringtones . This custom rom is only for Huawei honor 5X , Dont try to flash it on any other device it may brick your device . There should be more then 50% in your smartphone . Pc and Usb cable is required to download nougat update for huawei honor 5x . As the rom is in build phase so it may contain some bugs , however the bugs will be resolved in coming updates . 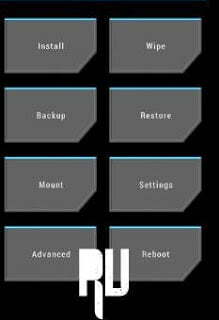 TWRP or CWM recovery is required to flash the Update , Here is the Guide to Install TWRP / CWM recovery on Any android device without Pc . Step by Step guide to Update Huawei Honor 5x to Android 7.0 Nougat . First of all Download Android 7.0 Nougat update for Honor 5X . As mentioned earlier that download the update in Pc or computer . After Downloading copy the update in the root of sd card . After disconnecting rename the Update to Update.zip . Now you have to boot your honor 5x to TWRP recovery mode . To boot in Recovery mode press Volume up + Power key together . Now make a backup of all Existing files and installed os . Now go to the sd card and choose the Update.zip . The installation process will take around 5-7 minutes to complete . After successful Installation you will get a message ” Update.zip flashed successfully ” . The first reboot will take around 3-5 minutes so need not to worry . Thats all !! You have successfully update Honor 5x to Nougat . Thats all !!! So this was how you can Officially update Honor 5X to android 7.0 nougat . So this was our guide on How to Update Huawei honor 5x to android 7.0 Nougat, I hope you liked our guide .